Follow the stars on the Walk of Fame! The Hollywood Skyline Flyer leads you to event success. 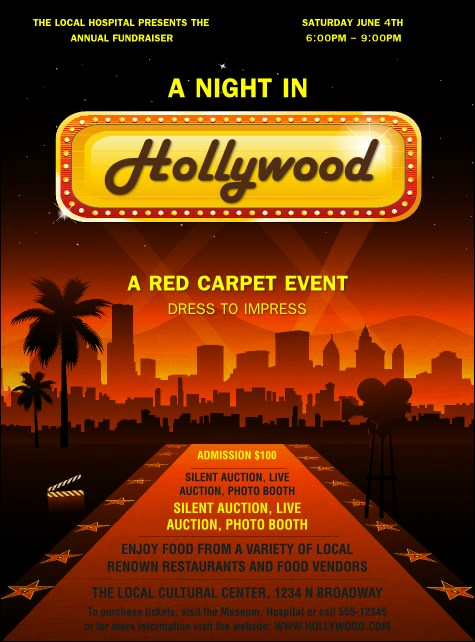 This cinema-themed design features a beautiful city skyline framed with your event details. The sunset colors gives this template a laid-back California feel.